FREE Bible prophecy documentary book download proving our generation will see the return of the Lord. Do you want to know what is going to happen in the future before it actually takes place? The Word of God provides you with specific details about our future and all of these things are coming to pass in this generation. If you aren’t saved yet this is a must read! The Last Chronicles of Planet Earth March 26, 2016 Edition written by Frank DiMora. Bible prophecy documentary book download proving our generation will see the return of the Lord. Do you want to know what is going to happen in the future before it actually takes place? The Word of God provides you with specific details about our future and all of these things are coming to pass in this generation. If you aren’t saved yet this is a must read! The Last Chronicles of Planet Earth March 26, 2016 Edition written by Frank DiMora. Islamic State terrorists are planning to carry out attacks in kindergartens and Jewish schools in Turkey, reported Sky News Monday. Hours earlier, Israel upgraded its travel advisory to Turkey a week after the terror attack in Istanbul in which 3 Israelis were killed. The information on the planned attack was obtained after the arrest of six ISIS militants in the city of Gaziantep last week. Apparently the main target of the terrorists was Istanbul’s Great Synagogue which has a community center and a school nearby. “It is more than credible threat. This is an active plot,” plot is active,” an intelligence official told Sky News. The official said that as a result Turkish police have beefed up security at Jewish synagogues and centers. A number of ISIS and Nusra Front militants have been killed and wounded in intense clashes near Lebanon’s northeastern border in the last 24 hours, Hezbollah-affiliated media and sources said. The War Media Center, which monitors fighting in the Syrian border area of Qalamoun and other parts of Syria where Hezbollah is present, said Sunday that Nusra militants recaptured a number of posts in Qalamoun’s Jarajir with the help of reinforcements. The Center said Monday that clashes were ongoing after Nusra militants recaptured posts in the areas Zamarani, Ajram and Qornet al-Hashishat. The report said ISIS responded by executing a number of Nusra field commanders, and according to the Center has kidnapped six Nusra fighters. Egyptian President Abdel Fatteh El-Sisi has sent a secret missive to President Barack Obama asking for urgent US military intervention in support of Egypt’s war on the Islamist State in Sinai, before the jihadis pose a real threat to Cairo. debkafile’s exclusive intelligence and counterterrorism sources report that El-Sisi has come to the conclusion that Egyptian army lacks the ability to eradicate the terrorist peril without direct US military support. In his note, he asks Washington to replicate in Sinai the format of US intervention in the war on ISIS in Iraq and Syria, namely, to send in special operations forces to establish bases and operate drones against jihadist targets. Unless stopped, he warns, the Islamic State is on the point of transforming the Sinai Peninsula into its primary forward base in the Middle East, bolstered by its branches of terror across North Africa, especially in Libya. US intervention is necessary to avert this. So far, Sisi has received no answer from the White House and no sign of one in the pipeline. Subsequent to clashes with Syrian regime troops, militant fighters of the Islamic State (ISIS) group were able Monday to control the tanks battalion in eastern Homs, central Syria, activists reported. Speaking to ARA News in Homs, rights activist Amr al-Musa confirmed that ISIS captured the abandoned battalion in eastern Homsــ about 10 km northwestern the military airport of T-four, subsequent to fierce battles with pro-regime forces. Al-Musa pointed out that ISIS launched a surprise attack on the pro-regime forces, leading to fierce clashes between the two sides lasted for several hours. “ISIS militants were able to take over the tank battalion in addition to a nearby regime-led checkpointــwhich was taken as a first line of defense for the battalion,” he reported. However, after taking control of the battalion, ISIS was forced on Monday midnight to retreat under heavy blows by the Russian air force and the regime’s artillery–stationed in the vicinity of the T-four military airport. Meanwhile, A rebel group active in the fighting front north of Homs has merged into a larger Islamist coalition with close ties to Saudi Arabia. Jaysh al-Tawhid announced Monday evening on its official Facebook page that it was joining the Authenticity and Development Front, a moderate group that counts on approximately 5,000 combatants across Syria. Iraqi officials say a suicide bombing in the capital has killed at least seven civilians and wounded 23. A police officer says the suicide bomber set off his payload among a group of day laborers in Baghdad’s Tayaran Square on Tuesday. A medical official confirms the toll. Both spoke on condition of anonymity as they were not authorized to brief reporters. The Islamic State group claimed the attack in an online statement circulated by supporters, saying it targeted Shiite militiamen. In recent months the Sunni extremists have carried out a series of large attacks mainly targeting Iraq’s Shiite majority and Shiite-dominated security services. Turkey and the US have agreed that a political settlement may be possible this year in Cyprus, the Mediterranean island divided for four decades. Turkish foreign minister Mevlut Cavusoglu met the US secretary of state, John Kerry, in Washington, and both diplomats were upbeat about chances for a deal. “We have also some good news from the eastern part of the Mediterranean, I mean Cyprus,” Cavusoglu said ahead of their meeting. “We are hoping to reach a settlement in Cyprus in 2016. Turkey’s side is ready,” he said, confirming for the first time that a deal is possible this year. Cavusoglu said talks on the issue had slowed during preparations for May’s legislative elections in the Greek-speaking, independent south of the island. “But after the elections we are hoping to reach a settlement and the United States is giving its full support to this process as well as Turkey,” he said. Kerry said he “couldn’t agree more”. The Taliban militants have staged an attack on the compound of the Afghan parliament in the capital, Kabul, with officials saying the assault did not cause any major damage or casualties. Safiullah Muslim, a lawmaker from Badakhshan Province, said three rockets were fired at the parliament as a top intelligence official and caretaker minister of interior were due to speak in the chamber on Monday. “It happened when the session was ongoing,” said the lawmaker, adding that the rockets did not hit the main building. Other lawmakers said no one was wounded in the incident. Taliban spokesman, Zabihullah Mujahid, claimed the attack, saying, however, that it had caused heavy casualties. UN chief Ban Ki-moon pleaded Tuesday for Libya’s unity government to be allowed to start work quickly and called for anyone obstructing the peace process to be held accountable. Ban, speaking in Tunisia, called for a UN-backed presidential council to be permitted to work towards “the immediate peaceful and orderly handover of power to the government of national accord.” He also urged Libya’s internationally recognised parliament, based in the country’s east, “to uphold its responsibilities” in implementing a UN-brokered power-sharing deal announced in December. But both of Libya’s rival authorities — the government backed by the recognised parliament and another supported by armed groups in the capital — have refused to cede power to the unity government. A pipe bomb detonated in an alleyway in Anaheim, California on 27 March, causing damage to the walls of a shuttered business, authorities said. Anaheim Police Sergeant Daron Wyatt said police received a call about an exploded transformer right before 2pm PDT/10pm GMT in the 600 block of North Anaheim Boulevard, near East Wilhelmina Street. However, when police investigated, they discovered a small explosive device, or pipe bomb, located in an alley outside the business, Wyatt told reporters. The bomb’s explosion caused moderate damage to the exterior walls of the empty building, The Los Angeles Times reported. Wyatt added that an end-cap of the device flew 45ft and punctured a hole in a nearby wooden fence. Police said no injuries were reported. According to the Times, homes and businesses in the area were briefly evacuation until the Orange County Sheriff’s Department’s bomb squad determined the area was safe. According to CBS News, two other pipe bombs exploded in Anaheim in November and December of 2015. The police sergeant said it remains unclear if the latest incident is related to the previous two blasts but added that there was an arrest in the last two incidents. The latest incident occurred about three miles north of the Disneyland theme park, USA Today noted. North Korea test-fired a short-range missile on its east coast on Tuesday, South Korea’s military said, amid heightened tension over the isolated country’s nuclear and rocket programs. The missile was fired from near the North Korean coastal town of Wonsan at 5:40 p.m. (0840 GMT) and flew northeast for about 200 km (124 miles) and then “made contact” with the mainland, South Korea’s military said in a statement. North Korean leader Kim Jong Un has presided over a string of short-range missile launches in recent weeks in what the communist-ruled nation’s state media has characterized as a response to U.N. sanctions imposed for its fourth nuclear test in January. In a proclamation that will strike fear into the hearts of the North Korean people, state media has ordered the citizenry to prepare for a new “arduous march”. The term was first coined by the North Korean leadership in 1993 as a metaphor for the four-year famine that decimated the nation from 1994. The famine – in which as many as 3.5 million of the nation’s 22 million people died – was brought on by economic mismanagement, natural disasters, the collapse of the Soviet bloc and the consequent loss of aid, combined with the regime’s insistence on continuing a life of luxury and feeding the military. Now, less than one month after the United Nations Security Council voted in favour of new sanctions against North Korea for its recent nuclear and missile tests, Pyongyang has announced a nationwide campaign to save food. Pakistan has rounded up more than 5,000 militant suspects, then released most of them, in the two days since a suicide bomber killed at least 72 people in a park in Lahore at Easter, a provincial minister said on Tuesday. Investigators were keeping 216 suspects in custody pending further investigation, said Rana Sanaullah, a state minister for Punjab province from Prime Minister Nawaz Sharif’s ruling party. Details of the sweeping raids aimed at anyone suspected of violent Islamist extremism came as the Taliban faction claiming responsibility for the attack issued a new threat on Tuesday, singling out the media. Sanaullah said “5,221 people have initially been detained. 5,005 have been released after verifying their identities, and 216 people have been referred for further investigation. “If someone is found to be guilty, they will be charged,” told journalists in the Punjab province capital of Lahore. Army spokesman Gen. Asim Bajwa said the military and the paramilitary Rangers were conducting raids across Punjab, Pakistan’s richest and most populous province, in rapid response to the Easter bombing. Jamaat-ur-Ahrar, the Taliban faction that claimed responsibility for the blast aimed at Christians celebrating Easter, warned Pakistani media they could be the next target. Is Planet Nine real? We may have more than eight planets in our solar system, and it’s not because Pluto is getting reinstated. In January, researchers Mike Brown and Konstantin Batygin proposed that a possible ninth planet was orbiting on the outer edge of the solar system. They created a mathematical model that showed a distant, Neptune-sized planet might be influencing the orbital path of six smaller objects out in the Kuiper Belt. “It’s almost like having six hands on a clock all moving at different rates, and when you happen to look up, they’re all in exactly the same place,” Brown said in a statement on January 20. “Basically it shouldn’t happen randomly. So we thought something else must be shaping these orbits.” Now Brown and Batygin say they’ve found yet another one of these small objects, and it’s in the exact position their model predicts. This is even more evidence that Planet Nine really exists. 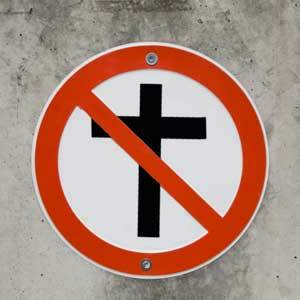 I am sad to have to report that another one of our Christian Brothers has been killed by ISIS. This time it was Father Thomas Uzhunnalil. The Indian Catholic priest kidnapped by ISIS-linked terrorists in Yemen earlier this month was crucified on Good Friday, it has been claimed. 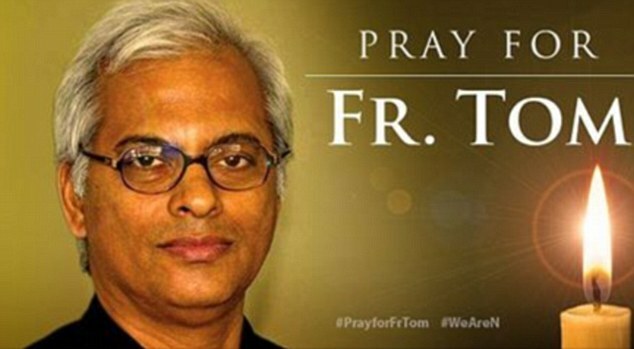 Father Thomas Uzhunnalil, 56, was taken by Islamist gunmen, reportedly linked to ISIS, who attacked an old people’s home in Aden, southern Yemen, killing at least 15 people, on March 4. The terrorists reportedly carried out the heinous murder on Good Friday, after threatening to do so earlier in the week, according to the Archbishop of Vienna. When you read the hundreds and hundreds of news reports every year showing the massive die offs of the birds, fish, and animals one has to think about what Jesus pointed to in Revelation 6:6. Doing a study you will learn that food is going to lead to many millions of deaths during the tribulation. What do I mean? Since the food supply is being wiped out the less food the higher the price for the food you can get! You will see a good example of this by what is happening with the Salmon down in Chile. The fearful sights Jesus warned us about are getting worse faster. Last year the number of volcano blowing off hit a record and in 2015 we are seeing the same pattern again! Pavlof volcano erupts, sending ash 20,000 feet high. Have you noticed what is happening in Europe? The issue of immigrants pouring into Europe has again caused riots. This time the riot took place in Brussels. There is no question that little by little Europe is in fact being divided. A few years ago riots broke out in many places around the EU member states because of the economy which really has not be solved yet and to add to there burden millions of Muslims who will be looking for work have poured into Europe and as you saw from the recent bombings in Brussels many of the people coming into Europe have an ISIS agenda. The Last Chronicles of Planet Earth March 22, 2016 Edition written by Frank DiMora. According to this report which says, "Quartet envoy Nicolai Mladenov announces the latest plan for dragging the Palestinian Authority back to peace talks", what kind of peace talks are they trying to get if they have to drag it? Here is a short quote from this news report. " The “Quartet” comprised of the United Nations, European Union, Russia and the United States is forming a new plan to revive the moribund Israel-Palestinian Authority peace process. UN special coordinator for the Middle East peace process Nicolai Mladenov told media at a news conference in New York on Wednesday the Quartet plans to issue an analysis of the obstacles to a final two-state solution. Included in the report will be recommendations on how to advance the process." There are two news reports I want to share with you today concerning Syria. First of all what we know from the Lord is that Syria is downing down and Damascus is going to be leveled or as it says in the word of God "I will kindle a fire in the wall of Damascus. You add to what Jeremiah says to what Isaiah says and you will see the future very clearly for Syria. Isaiah 17:1 "The burden of Damascus. Behold, Damascus is taken away from being a city, and it shall be a ruinous heap." How many of you think that ISIS is just going to quit trying to take over Syria and Iraq? If you think they will stop you are mistaken because these fighters are fighting to bring forth world chaos. They want the chaos and hope for it as this chaos will bring out their Islamic savior. Why do you think the latest suicide attack in Brussels took place? ISIS wanted to show the world they can strict anywhere. Do you think that if they catch the other men who got away during this last bombing that ISIS doesn't have 10 more people just like those who just blew themselves up? Let me tell you ISIS is never going to stop and do you know how I can tell? All you have to do is read Ezekiel 38. Ezekiel 38 shows us the exact nations who are going to try and invade Israel and they are the very nations that ISIS is moving into right now. Syria is just the beginning of what is to come as far as prophecy is concerned. So, what do you really think is going to happen to Syria now? Go ahead and read the two news reports below then ask yourself this question. Do I believe in what God has said or, will I trust some news reporter who doesn't have a clue about what the Lord has stated for these nations? I suppose you should ask a few of the people who were lucky enough to escape the bombs in Brussels if they think these Islamic terrorists are going to give up their quest for bring Islam to the world? You will see in the 3rd report below Europe has at least 400 more of the type of men who just blew themselves up. The religious leader in Iran doesn't have a problem telling the world he wants to destroy Israel and kill anyone who doesn't follow Islam. The question is why doesn't the world take him at his word? I have a message for Europe. Fight now, stop them now or your family members may be the next one ISIS hits? One thing is for sure they are in your nation and they are coming after you! Syrian state television said government forces fought their way into Palmyra on Thursday as the army tries to recapture the city from Islamic State. Syrian government and opposition parties at peace talks in Geneva are expected to agree on Thursday to a document drawn up by a UN special envoy outlining basic principles in what one diplomat described as a "baby step" forward. As long as I mentioned Iran I want to give you news on how Iran has attacked the U.S. via cyber attacks. Look, we know Iran wants war that is a given the question I ask is, what has taken so long for the mainstream media to print the truth that Obama has helped Iran's cause buy giving them just about everything they want and, this comes will at the same time Iran has said they want to destroy not only Israel but the good old USA. Do you not know that every leader in every nation was allowed to be put there by God? It is clear to me that the leaders in position now are the perfect men to fulfill the prophecies that haven't taken place yet. If Iran's leader is not checked he will make good on his promise and attempt to kill off both the U.S. and Israel. Why do you think Iran is pushing so hard for a nuclear bomb? If you think they won't use it you may want to take a look at Ezekiel 38 again because we see God using the type of force against Iran that Iran wanted to use against Israel and that goes for the rest of the nations who come down with Iran against Israel. There will be no news today as I have a live prophecy seminar to give tonight. However, I just up-dated my book for you again. If you are new to my site and haven't read my prophecy book now would be a good time to read it. The download is free. A special ceremony was held in the Cardo in Jerusalem on Thursday, March 10th. It was the beginning of the month of Adar, or, to be precise, the second day of Rosh Chodesh Adar Bet. In temple Times, the new month was considered a minor holiday and the ceremony, a reenactment of the Temple service, gloriously illustrated that. On the day of the new month, special sacrifices were brought to the Temple: two oxen, a ram, seven lambs, wine libations, flour, and oil (Numbers 28:11-15). This is identical to the sacrifices offered on Passover and Shavuot, indicating the holy aspect of the new month. Special trumpet blasts were also added in celebration. To commemorate the special nature of the day, the Temple Institute, in conjunction with the Sanhedrin and other Temple organizations, held a reenactment of the service as it would have been performed in the Temple. The ceremony was intended to be educational for the spectators and a dry-run for the priests who participated. The priests, students of the Temple Institute’s Nezer HaKodesh Academy for Kohanim, wore authentic garments made to Biblical specifications, and performed the Kohanic blessing. Musicians played instruments suited for use in the Temple provided by the Temple Institute, accompanied by a choir. Though no animals were actually slaughtered, the organs and special fats were displayed and explained. There was also a demonstration of how blood is sprinkled on the altar. A minchaoffering of semolina was burned on the altar, a precise scale model, approximately one meter tall and two-and-a-half meters square. Fearing an Islamic State spillover, Israel has in recent months tightened security along its border with Egypt after an IS affiliate group’s two-year campaign which has claimed the lives of hundreds of Egyptian police and soldiers. Along the restive Egyptian border in the northern Sinai Peninsula, IDF soldiers are seen every day patrolling across the 6,000-square kilometer desert terrain, which has for years been a haven for heavily armed militants.Israeli forces said the increased military presence along the Sinai border is in response to unprecedented attacks carried out by the IS-linked militant group since last year, as well as an intelligence assessment that an extremist attack on Israel is possible. “No fence in the world can stop militants, unless soldiers are guarding that fence,” said Zvi Arden, commander of a military operation dubbed “Dragon Battalion,” along the Israel-Egypt border. Jordan said on Sunday it will set up security cameras around Jerusalem’s flashpoint Al-Aqsa mosque compound in the coming days to monitor any Israeli “violations”. In October, US Secretary of State John Kerry endorsed a plan to install cameras at the site in a bid to calm repeated disturbances, after talks with Jordan’s King Abdullah II and Palestinian leader Mahmud Abbas. Israeli Prime Minister Benjamin Netanyahu agreed. But the Jordanian-run trust or “Waqf” that administers the site — which houses the famed golden Dome of the Rock and Al-Aqsa mosque — then complained that Israeli police had blocked it from installing the cameras. A “control centre” will be set up to monitor round-the-clock video surveillance of the compound, Jordan’s Islamic Affairs Minister Hayel Daoud said. The footage will be broadcast online to “document all Israeli violations and aggressions”, he said in a statement, adding that no cameras would be installed inside mosques. Clashes between Palestinian youths and Israeli security forces erupted at the compound in September amid fears among Muslims that Israel was planning to change rules governing the site. The Israeli prime minister has said repeatedly there are no such plans. Hezbollah chief Hassan Nasrallah says Israelis are too scared to engage Hezbollah in a large-scale military conflict knowing the damage and loss of life the Lebanese terror group will cause. “Any Israeli war on Lebanon would be an uncalculated adventure,” he says in an interview with al-Manar TV. “The cost is very important for Israel regarding the casualties and the psychological and economic repercussions. Through its readiness, expertise, military skills and stance, the resistance has made the Israelis realize that any war on Lebanon will be very costly and that they must balance between feasibility and cost.” Nasrallah says that Hezbollah is able to “exploit” Israel’s value for life in order to build up vast military stockpiles without the threat of an attack. “The Israelis know that the resistance possesses effective missiles that can hit any point in occupied Palestine. We have a full list of targets in occupied Palestine, including nuclear reactors and biological research centers. We will not abide by any restrictions or red lines in the event of any war against Lebanon,” he warns. Militants killed 13 Egyptian policemen in an attack Saturday on a checkpoint south of northern Sinai’s provincial capital of el-Arish, the Egyptian Interior Ministry said. A Sinai-based Islamic State affiliate has claimed responsibility for the attack, according to a statement circulated on social media. The Associated Press could not independently verify theclaim. The local IS affiliate has been targeting Egyptian security forces in Sinai and claimed the downing of a Russian airliner last October that killed 224 people. The Yarmouk Martyrs Brigade has seized a town in southwest Syria in the latest round of fighting between the ISIS affiliate and rebel factions in a stretch of territory near the Golan. “Clashes raged at dawn between the Yarmouk Martyrs Brigade one side and Islamist battalions and other fighting factions in the area around Tasil,” the Syrian Observatory for Human Rightsreported on Monday morning. The monitoring NGO tracking the conflict in war-torn Syria added that the extremist group—which has long fought battles in southern Syria against not only Free Syrian Army-affiliated factions but also the Nusra Front—had seized the town after a battle that left at least two people dead. Yarmouk Martyrs Brigade members broadcast an appeal over loudspeakers for the rebels to choose between “allegiance, surrendering their arms, or staying home.” A number of pro-rebel outlets also covered the fighting, saying that the Yarmouk Martyrs Brigade on Friday morning had also taken the nearby village of Adawan due east of Taseel. ISIS fighters killed 26 Syrian soldiers on Monday west of Palmyra, a monitoring group said, after days of advances by government forces backed by Syrian and Russian air cover. Russian President Vladimir Putin said last week that the Syrian army would soon recapture Palmyra from ISIS, which has held the desert city for nearly a year. The Britain-based Syrian Observatory for Human Rights said the fighting took place about 4 kilometers (2 miles) west of Palmyra. It was not possible to independently verify the death toll. Syria’s state news agency SANA said the army and allied forces, backed by the Syrian air force, carried out “concentrated operations” against ISIS around Palmyra and the ISIS-held town of al-Qaryatayn, about 100 km further west. After more than five months of airstrikes in support of Syrian President Bashar Assad, Putin announced the withdrawal last week of most Russian forces. But Russian planes have continued to support army operations near Palmyra, according to the Observatory and regional media, and Putin said on Thursday he hoped that the city would soon fall to the Syrian government. The Iran-sponsored Hizbullah Brigades in Iraq have vowed to attack American troops after the U.S. Army said it would send reinforcements to support the international coalition fighting Islamic State of Iraq and Levant (ISIL). Hizbullah Brigades, which is not directly affiliated with Lebanon-based Hizbullah, said in a March 20 statement that “the United States increasingly intervenes in Iraq’s issues with its presence in the Iraqi joint operations command.” “We have vanquished the American occupation with our quality and quantity in the past and we will continue attacking them, with our resources significantly increased,” the statement said. Col. Steve Warren, the spokesman for the U.S. military operation against ISIL, announced on March 20 that a group of Marines will be deployed to reinforce existing forces in Iraq. Last week, an American Marine was killed and several others wounded in an ISIL rocket attack on a base in northern Iraq. Hizbullah Brigades said that “Iraq’s streets are still filled with the ruins of their (U.S.) vehicles that destroyed our explosive devices, and those injured by their soldiers are still hospitalized. At least six soldiers were killed Monday in an attack in western Iraq claimed by ISIS that began with five suicide bombers ramming explosives-laden vehicles into a checkpoint, officials said. Several foreigners were among the bombers, including a Frenchman, according to a statement by ISIS which said its fighters carried out the attack. A senior officer in the Iraqi army, manning the checkpoint near the town of Al-Baghdadi in Anbar province, said nine soldiers were also wounded. He told AFP that after the suicide attacks some 25 extremists launched an assault on the checkpoint, the main one on the road leading to Al-Asad air base, where a large number of Iraqi troops and foreign advisers are stationed. The officer said most of the gunmen were wearing suicide vests. About five hours of clashes ensued, he said, and all the attackers were killed, with the support of strikes from the US-led international coalition. Malallah al-Obeidi, who heads Al-Baghdadi local council, confirmed the details of the attack and said Iraqi forces were in control of the checkpoint. ISIS, in its statement posted on social media, claimed that the battle was still ongoing. The Arab League has rejected last week’s declaration by Syrian Kurds of a de-facto federal region in northern Syria. The league’s deputy chief, Ahmed bin Helli, said on Monday that calls for federalization could impact Syria’s unity. Last Thursday, a meeting of some 200 Kurdish officials declared they were establishing a federal region. The officials insisted they are not seeking secession – but rather making sure the country remains one nation. In Syria’s civil war, Kurdish fighters have emerged as the most effective fighting force against the Islamic State group and are backed militarily by the United States. The Kurds, a longtime oppressed minority, have taken advantage of the chaos of the civil war to advance their goals of autonomy. After government troops withdrew from Kurdish areas to focus elsewhere in Syria, they declared their own civil administration in 2013. The European Union’s foreign policy chief has expressed optimism about Syria’s peace process, urging international and regional actors to build on current, favorable conditions. A suicide bomb attack at a busy shopping area in the Turkish city of Istanbul has killed at least four people, officials say. They include two Israelis with dual US nationality, and an Iranian. Another 36 were injured in the blast near a government building. No-one has admitted carrying out the attack, the latest in recent months. The Turkish government has blamed Kurdish militants for previous attacks and has retaliated against them. Saturday’s attack on Istiklal Street in Istanbul, Turkey‘s largest city, occurred at about 11:00 local time (09:00 GMT). Uwes Shehadeh was some 500m (1,640ft) away when he heard “a horrific and horrible noise”. “People didn’t know what was going on. It was very chaotic. Everyone was screaming and running away,” he told the BBC. “Istanbul is on high alert and people are very worried as to what will happen next.” Eleven Israelis were among the injured. Two Irish citizens and one person each from Germany, Iceland, Dubai and Iran were also injured. Three members of the Turkish security forces were reportedly killed and seven others wounded in confrontations with rebels of the Kurdistan Workers Party (PKK) in Turkey’s south-east, Turkish army said on Sunday. Chief of staff of the Turkish army also revealed Sunday that a Turkish soldier was killed during clashes with the PKK rebels in the district of Yeşil Yurt in the city of Şırnak southeastern Turkey in the early morning hours, while another soldier killed in the same area on Sunday evening. The Turkish army leadership pointed out that 13 PKK fighters have been killed since Saturday, while the Turkish death toll mounted to 28 in the ongoing operations led by government since March 14. The security forces have imposed a curfew in the Kurdish-majority districts of the city for weeks. In the meantime, PKK rebels detonated a hand-made explosive device among a unit of the Turkish special forces in the neighborhood of Dijla in the city of Nusaybin, led to the death of a policeman and the injury of seven others, according to Turkish military sources. The sources emphasized that four of the injured are in critical case. The Afghan military has raided a Taliban-held prison and freed 16 hostages, including civilian and security personnel, in the restive southern province of Helmand, officials said Monday. A Defense Ministry spokesman, Dawlat Waziri, told VOA the overnight raid in the district of Gerishk also killed 17 Taliban insurgents, including six suicide bombers who were guarding the prison. A Taliban spokesman confirmed the raid in the Shoraki area and alleged that “foreign invaders,” a reference to the U.S.-led military coalition in Afghanistan, also took part. He said eight civilian prisoners were taken away while another seven were killed in the military action and five were wounded. Local Afghan security officials have also confirmed involvement of foreign troops but the NATO-led Resolute Support mission has not yet commented. Algerian troops killed six armed Islamist fighters in the country’s southeast near the Tunisian border, and captured arms and munitions, the ministry of defense said Monday. They were killed in El Oued, and Kalashnikov rifles, handguns and ammunition were recovered from two off-road vehicles, the ministry said in a statement. Al-Qaeda in the Islamic Maghreb claimed a rocket attack Friday on a southern Algerian gas plant operated by BP, Statoil and state energy firm Sonatrach. It caused no damage or casualties, but Monday the two foreign companies began pulling workers out of gas sites in the country. The United Nations is accusing Morocco of violating the U.N. Charter in ordering the withdrawal of U.N. civilians from the peacekeeping mission in the disputed Western Sahara and says the Security Council must take action. U.N. deputy spokesman Farhan Haq warned Monday that without an effective peacekeeping force, there is a risk of a return to heightened tensions “and even conflict.” Morocco has ordered 84 civilians in the U.N. mission to leave. Haq says 11 of those people were no longer with the mission. Of the remaining 73, 72 have left and one remains for medical reasons. Haq says Morocco has also ordered the U.N. to close its military office in Dakhla. Morocco is angered by U.N. Secretary-General Ban Ki-moon’s recent comment about “occupation” of the territory, which Morocco claims. The Islamic State (IS) is building its own drones and uses them against Kurdish Peshmerga forces in northern Iraq, a Peshmerga commander said. Qadir Qadir, Commander of Peshmerga forces on the Gwer frontline, told BasNews that his men have recently downed two drones apparently developed by the IS jihadists to monitor the Peshmerga forces in the area. Qadir explained that the drones were improvised for long-distance flights with a high-quality camera to survey Peshmerga movements. According to the Peshmerga commander, IS has the technical capacity in Mosul to develop domestic drones into military surveillance drones to closely monitor Peshmerga and Iraqi security forces. Tens of thousands of protesters have taken to the streets of Brazil to show support to President Dilma Rousseff, who is facing calls for her impeachment. Earlier, police used tear gas on anti-government protesters in Sao Paulo. Several protests against Ms Rousseff erupted two days ago after she appointed her predecessor, Luiz Inacio Lula da Silva, as a minister. Meanwhile, a Supreme Court judge has suspended his nomination as minister. The decision is not final, and the government can appeal. In naming Lula, Ms Rousseff is accused of shielding him from charges of money-laundering, which he denies. Officials in Somalia say al-Shabab militants have attacked a Somali government military base, killing at least six soldiers. Authorities say the insurgents attacked the base in Laanta Buur, 40 kilometers south of Mogadishu, from two directions early Monday. Several military vehicles were seized in the assault, officials say. “The militants were so many, and well armed,” military officer Abdullahi told Reuters on Monday. “The soldiers fled the base – only one soldier died – but (al Shabaab militants) took nine vehicles.” A spokesman for al Shabaab confirmed the attack, and said it had killed 70 men. “We left only one truck that was burning. Seven of the vehicles we took had anti-aircraft guns fixed on,” Sheikh Abdiasis Abu Musab, al Shabaab’s military spokesman, told Reuters. Unidentified gunmen have attacked a European Union Training Mission (EUTM) headquarters in Bamako, the capital of Mali. The mission is stationed at the Azalai Hotel Nord Sud. “The attackers tried to force through the entry and the guards posed in front of the entrance opened fire. One attacker was killed. The gunfire continued for several minutes,” a witness near the hotel told Reuters on Monday. A Defense Ministry spokesman confirmed the shooting. The US Embassy in Bamako said it is “aware of small arms fire” in the vicinity of the hotel, and has advised its citizens to avoid the area and “shelter in place” until further notice. The diplomatic compound “is in duck and cover status,” it said. One assailant has been killed at the hotel, while another is still entrenched on the premises, French news website L’Express reported, saying there are no victims among the French contingent. The EUTM in Mali confirmed the attack on its headquarters, but said that no mission personnel had been hurt or injured. No one has immediately claimed responsibility for the attack. As part of the mission, some 600 EU military personnel are currently deployed in Mali to train its security forces, according to Reuters. The combined Russian-separatist forces attacked Ukrainian army positions in eastern Ukraine 32 times in the past 24 hours, including 28 times in the Donetsk sector, twice in the Mariupol sector, and once in the Luhansk sector, according to press center of the Anti-Terrorist Operation (ATO). The Russian-backed terrorists fired 82mm mortars, rocket-propelled grenades and machine guns on the Ukrainian fortified positions near the village of Luhanske, as well as mortars, infantry fighting vehicles’ guns and heavy machine guns near the town of Svitlodarsk. In addition, enemy snipers were working near Avdiyivka, and the villages of Zaitseve and Leninske. The occupiers also fired grenade launchers of various systems on the Ukrainian positions near the village of Opytne, as well as small arms on the Ukrainian fortified positions near the village of Pisky and the town of Maryinka. North Korea fired five short-range projectiles into the sea off its east coast on Monday, South Korea’s military said, amid heightened tension over the isolated country’s nuclear and rocket programs. The unidentified projectiles were launched from south of the city of Hamhung and flew about 200 km (120 miles), landing in waters east of North Korea, South Korea’s Joint Chiefs of Staff said in a statement. On Friday, North Korea fired two mid-range ballistic missiles into the sea in defiance of tough new U.N. and U.S. sanctions slapped on the country following nuclear and rocket tests earlier this year. “North Korea should refrain from all provocative actions, including missile launches, which are in clear violation of U.N. resolutions,” Sung Kim, the U.S. special envoy for North Korea, told reporters in Seoul when asked about Monday’s firing. In recent weeks, North Korea has stepped up its bellicose rhetoric, threatening pre-emptive nuclear strikes against Washington and Seoul and firing short-range missiles and artillery into the sea. In Revelation 9:21 we see Jesus speaking to us about drug’s. The words “sorceries” in Revelation 9:21 is the Greek word pharmakia from which comes our word “pharmacy”. It signifies the use of medicine, drugs, spells, such as those used in witchcraft and those used today by those who are seeking a greater “high”. This generation was to be labeled a drug generation and we are. Authorities in several Florida cities have seen an increase in emergency calls related to people being slumped over in a stupefied state, as they have overdosed on the dangerous drug known as spice, or synthetic marijuana. Police in Tampa say that more people than ever before are overdosing on the drug, as investigators in Clearwater say they’ve received dozens of calls for people who have had to be rushed to the hospital because of suspected spice use. WTVT reported that Tampa medical and law enforcement professionals warned last week about the dangerous uptick in overdoses that is possibly linked to a bad batch of spice that’s being sold. According to officials, there were three overdoses on Wednesday, as the calls for the usage of Spice are centered around Crest Lake Park where homeless people spend a lot of time reportedly. The total number of earthquakes across Oklahoma has increased 23 percent from this time last year, though most of the quakes are very small according to USGS data. Oklahoma started the year slowly for the total number of quakes, though now has seen a large jump in the number of quakes registering 1.9 magnitude or smaller, year-to-date. So far in 2016, the state has seen 142 of the very small quakes. At this time in 2015, the state registered 16. Overall, 2016 has had a total of 825 quakes compared to 2015’s 671. I am looking for Suzi the women who Jesus spoke to and told her to edit my book. finished to tell me Jesus fulfilled his promise to her by giving her a great job. March 18, 2016- The Diseases of 2016…so far Is Jesus speaking to us concerning Turkey joining the EU? After the main Syrian Kurdish group officially declared areas under its control in northern Syria a federalized autonomous region this week, the Syrian regime and opposition, as well as Turkey, immediately rejected the declaration. [The Syrian Kurds] are a community of people who are willing to cooperate with Israel,” Professor Ofra Bengio, head of the Kurdish studies program at Tel Aviv University, told The Times of Israel on Thursday. There have not been any pro-Israel public declarations by Kurdish Syrians leaders, Bengio said, “but I know some that some have been to Israel behind the scenes but do not publicize it.” The group was also not given a seat at the table of peace negotiations taking place in Geneva. Despite not being recognized, the Syrian Kurds have fully governed their region for two years. Their governance has been overwhelmingly democratic, egalitarian and secular in a region where totalitarian and Islamist ideologies prevail. The only other areas in the Middle East that can be characterized in this way are the Kurdish Regional Government (KRG) in Iraq — where minorities are well-protected under new laws — and Israel. Is Lebanon teetering on the edge of a new civil war? French intellectual Thierry Meyssan suggests that the failure of a regime change operation in Syria will prompt Saudi Arabia and its Western backers to seek a new target in the Middle East. Lebanon’s much discussed “garbage crisis” is by no means an accident, but one link in the chain of political events which could escalate into social turmoil, Thierry Meyssan, French intellectual, founder and chairman of Voltaire Network and the Axis for Peace Conference, writes. The Lebanese government is trying to find the way out of the country’s 7-month-long trash crisis, which “suddenly” began in August 2015. According to Meyssan, there is serious trouble brewing in Lebanon. “Over the last seven months however, the country has been shaken by the ‘garbage crisis’ and the resulting demonstrations which could have led to a second ‘Cedar Revolution,’ then by a crisis of confidence with Saudi Arabia and its allies, and finally by the international accusations against Hezbollah,” the journalist notes, adding that the combination of the three events looks rather sinister. Fanning the flames of the ongoing crisis, Saudi Arabia forbade its subjects to travel to Lebanon under the pretext of Beirut’s “inappropriate” reaction to Riyadh’s decapitation of peaceful cleric Nimr al-Nimr. The execution of al-Nimr prompted a wave of indignation among the Shiite populations of the world, including Lebanon. The top United Nations human rights official condemned the Saudi-led coalition fighting in Yemen on Friday, citing repeated attacks on civilian targets in airstrikes, including an attack on a crowded village market this week that killed 106 people. United Nations officials who went to the site of the attack on Tuesday in Hajjah Province found that airstrikes there had killed 106 people, including 24 children, making them the deadliest episode in the coalition’s yearlong intervention. The Saudis are backing the contested government of President Abdu Rabbu Mansour Hadi against rebels, known as the Houthis, who are aligned with the former President Ali Abdullah Saleh. The Saudis have been pressuring the United States for support in the conflict, saying that their archrival, Iran, is backing the Houthis. United Nations officials recorded the names of 96 people who died in the strikes, and they found 10 more bodies that were burned beyond recognition. An additional 40 people were wounded, “but that may be a low estimate,” said Rupert Colville, a spokesman for the high commissioner for human rights, Zeid Ra’ad al-Hussein. The Saudi-led coalition has repeatedly denied striking civilian targets during operations against Houthi rebels and affiliated forces. But United Nations officials said they had found no evidence of any military targets near the scene of the airstrikes, and Mr. al-Hussein said that may amount to a violation of international law. In three separate incidents in the northern part of the Sinai Peninsula on Thursday morning, six Egyptian policemen were killed and about 10 were injured in ISIS attacks using roadside bombs, sniper fire on police positions and mortar fire on a police base. Egyptian newspaper Al-Masry Al-Youm added that three ISIS gunmen were killed in a shootout with policemen in the town of Sheikh Zuwayed. Meanwhile, Egyptian President Abdel Fattah El-Sisi has warned Western powers Libya could spiral out of control if they try to intervene militarily in the conflict-wracked North African state. Speaking in a rare interview, the military-backed ruler of one of the region’s biggest powers said the West and its allies should instead concentrate on strengthening the army of Libya’s internationally recognized government and let it do the job of stabilising the country. The Islamic State (ISIS) group has claimed the killing of five Russian troops in fighting near the ancient Syrian city of Palmyra. “The soldiers of the caliphate, by the grace of God, have killed five Russian soldiers and six members” of the Syrian army, ISIS said in a statement. The group also claimed the killing of several members of the Lebanese Iran-proxy Hezbollah terror group in fighting near Palmyra. A website linked to ISIS, Aamaq, carried a similar claim, adding that one of the Russians killed was a military adviser. “Four of the Russian soldiers were killed in Qasr al-Halabat west of Palmyra during an attempt to storm the area that ISIS forces foiled, while the adviser whose corpse was shown in a video distributed by the agency died (Thursday) in the Dawa area,” Aamaq claimed. The Syrian Observatory for Human Rights monitor said that Russian advisers were present near Palmyra, but could not confirm whether any Russian forces had been killed there in recent days. Thousands of Iraqis staged a protest on Friday outside the capital Baghdad’s heavily fortified Green Zone to demand anti-corrpution measures, heeding a call by influential Shiiite cleric Moqtada al-Sadr. At around 11 a.m. (0800 GMT), riot police stood aside and allowed leaders of the demonstrators to cut and pull aside barbed wire barriers to allow them to cross a bridge that leads to the zone, which houses government offices, the parliament and embassies. “Let’s get rid of them, they’re all thieves!”, chanted the demonstrators as they rushed across the bridge, aiming to hold their weekly Friday prayer at a Green Zone gate that leads to the parliament building. The Interior Ministry earlier said it had not authorized any sit-down protest, amid concern about clashes with the forces guarding the zone. Sadr earlier rejected the calls to cancel a planned sit-in of the Green Zone, which he called “a bastion of support for corruption.” He published a statement on his website on Thursday in response to politicians who asked him to drop the protest over concern that it could lead to violence near the sensitive district, which houses government offices and embassies. Sadr called for the sit-in last week to press Prime Minister Haider al-Abadi to replace cabinet ministers with technocrats unaffiliated with political parties in order to counter systemic political patronage that has abetted corruption. Just four days after drawing down the bulk of Russian forces in Syria, President Vladimir Putin was quietly redrawing the Syrian map on federal lines, and planting Russian influence in its first semiautonomous region. debkafile’s intelligence sources report that the Russian leader’s hand was behind the establishment of the Syrian Kurdish federal region on March 17, at a meeting of Kurdish Democratic Union Party leaders in the Syrian town of Rmeilan. The new self-ruling entity covers three Kurdish-controlled enclaves:: Jazira, Hassakeh and Qamishli and the two cities of Kobani and Afrin, They include areas captured in battle from the Islamic State. One of the DUP leaders, Nawaf Khalil, noted the presence at the ceremony of representatives of the three enclaves, some parts of which are still controlled either by the Syrian army, Syrian rebel groups or ISIS. The Syrian Kurds are expected next to fight, with Russian backing, to connect the three enclaves into a contiguous self-ruled territory 500-kilometer long, adjacent to the Turkish border. Turkish President Tayyip Erdogan has warned repeatedly that Ankara would not tolerate the establishment of Kurdish self-rule in Syria and would send his army across the border to prevent it. Our sources report that Putin has assured Kurdish leaders that the Russian air force would be there to defend the new region if Turkey invaded. People killed in crossfire, burned alive in basements. Tanks in the streets and indefinite curfews – Kurds in Turkey’s southeast have been living a nightmare ever since Ankara started a crackdown on Kurdistan Workers Party (PKK) militants in August 2015. The map is based on a report by the Human Rights Foundation of Turkey from January 2016. It recorded curfews in Turkey’s south-east between August 16, 2015 and January 21,2016. The second-largest city in southeastern Turkey with highly-developed infrastructure, Diyarbakir is gradually becoming a city of the dead and missing. The unofficial capital of the Kurdish area of Turkey, the city has seen repeated shelling since July 2015. It was placed under two curfews in December. On March 16, following clashes between Kurdish militants and Turkish forces, Ankara once again imposed an indefinite curfew in some parts of the city. Ever since the military operations were launched in the city,“tens of thousands” of people have been forced to flee their homes, according to reports from Republican Peoples Party (CHP) said. Taliban extremists claim they have shot down a US helicopter in southern Afghanistan, reports on social media say, adding that all American soldiers on board were allegedly “killed on the spot.” The incident is said to have taken place in the Shawal Manda area of Nad Ali district in Helmand province, the largest province in Afghanistan. According to unconfirmed social media reports, four soldiers aboard the helicopter were killed in the incident. Meanwhile, a helicopter belonging to NATO-led forces made a “hard” landing in southern Afghanistan Friday, but all personnel on board “have been recovered with no casualties,” a U.S. military spokesman said, dismissing Taliban claims of shooting down the aircraft. Sudan is threatening to close its border with South Sudan and deport more than 300,000 South Sudanese students on grounds that the South is supporting rebels fighting the government of President Omar al-Bashir. Ibrahim Mohamud Hamid, a senior assistant to Bashir, aired the accusation and warnings on Thursday. South Sudan’s Foreign Minister Barnaba Marial Benjamin denied his government is supporting rebels of the Sudan People’s Liberation Army, or SPLA North, who are fighting the Sudanese government in Southern Kordofan and Blue Nile states. Marial, speaking to VOA’s South Sudan in Focus program, said his country is working to bring peace to Southern Kordofan and Blue Nile. “President Salva (Kiir) and the government are fully committed to see that there is peace in Sudan and peace in South Sudan,” he said. “And the president is very clear that we will not support any armed insurgency against the Republic of Sudan.” Sudan and South Sudan signed a cooperation agreement four years ago to stop supporting rebels in each other’s territory, to promote trade and to create two viable states. But the border was closed until earlier this year, when Sudanese President Bashir ordered it open to help the South cope with its ongoing economic crisis, caused by the country’s civil war. European leaders discussed powering up the bloc’s naval operation to fight people-smuggling gangs off the Libyan coast on Friday, as they sought to prevent a pickup of migrant flows from North Africa into Europe, people familiar with the discussions said. U.K. Prime Minister David Cameron told EU leaders gathered in Brussels on Thursday night that he was prepared to extend the mission of Royal Navy vessel HMS Enterprise in the central Mediterranean at least until the summer and wanted to see it deployed in Libyan territorial waters. Mr. Cameron discussed Libya early afternoon on Friday with the leaders of France, Germany, Italy, Spain and Malta. EU foreign policy chief Federica Mogherini also attended. An EU official said Ms. Mogherini told the leaders she will call a joint meeting of EU foreign and defense ministers on Libya on April 18 in Luxembourg to discuss the bloc’s plans. The EU launched Operation Sophia in May 2015 as part of its response to the migration crisis. At the time, hundreds were dying every month on a treacherous sea journey across the Mediterranean from Libya into Europe. The success of the operation has been hampered by the continuing conflict in Libya, where two rival factions are vying for power and who have so far resisted United Nations-led efforts to broker a unity government. That has meant the EU has been unable to win Libyan government permission to expand the mission. While the naval operation is now able to stop, seize and arrest suspected smugglers on boats carrying migrants in the high seas, it is not able to operate in Libyan waters. That permission could only come once a unity government is in place in Libya. Unknown attackers fired rockets at a natural gas plant in southern Algeria Friday but there are no reports of casualties. The facility is jointly operated by three energy firms, including Norway’s Statoil. Statoil said in a statement that the In Salah gas plant in Krechba “was hit by explosive munitions fired from a distance” at about 6 a.m. local time. It said its three employees in Krechba are unharmed, and that it has no information about anyone else being injured during the attack. Tensions are boiling over in the Western Sahara, a region Morocco has occupied since 1976, and local Sahrawi groups warn that if the UN pulls out its troops from the region in a concession to the Moroccan government, war will likely follow. Morocco has occupied the region since it was handed to its troops by Spain, when Madrid ended its colony there. The Sahrawi Arab Democratic Republic (SADR) holds a government-in-exile in Algeria, arguing for its rights to rule over the region, and the Algerian-backed Polisario Front has been fighting for independence in the disputed territory. If the UN ends its peacekeeping mission in the vast and mineral-rich Western Sahara that would be “the shortest way to the resumption of war,” warned Polisario Front’s UN representative Ahmed Boukhari, as reported by Associated Press on Friday. “If there is no mission, there is a vacuum and an invitation to war,” he warned, calling on the UN Security Council to maintain the UN presence in the region. Morocco on Thursday ordered the UN to evacuate its 84 international peacekeepers within three days from Western Sahara, and announced Morocco is cancelling $3 million in funding for the UN operation. Brazil faced a deepening political crisis and mass street protests Friday as opponents and backers of President Dilma Rousseff mobilized after lawmakers renewed efforts to drive her from office. With Rousseff fighting an impeachment drive and financial markets apparently betting on a collapse of her government, her embattled left-wing support base vowed to take to the streets Friday. Late Thursday, police in Brasilia fired tear gas and stun grenades to keep at bay angry protesters demanding her resignation. The ongoing protests capped a day of political drama as lawmakers relaunched impeachment proceedings against Rousseff, 68. The courts, meanwhile, blocked her bid to bring her powerful predecessor Luiz Inacio Lula da Silva into the cabinet. Scores of protesters camped overnight near the headquarters of the anti-Rousseff FIESP industry federation in Sao Paulo, vowing to stay put until she quits.“We are going to protest like they did in Ukraine. There will be more of us tomorrow,” said one protester, Cristiane Galvao, 44, member of a group called Beloved Homeland Brazil. Three policemen have been killed in an attack on Niger security forces near the border with Nigeria, Burkina Faso and Mali. Niger’s Ministry of Defense made the statement on public television Thursday. Colonel Ledru Moustapha said in the statement the attack was launched by assailants who arrived on four motorcycles and in a Toyota pickup truck. In an earlier attack, three members of Niger’s defense forces were wounded and five suicide bombers were killed Wednesday in an ambush in the Diffa region authorities have blamed on Boko Haram. The attacks come just before Niger voters go to the polls Sunday for a presidential runoff vote. North Korea on Friday morning (local time) fired a ballistic missile into the sea off its eastern coast Friday, just days after its leader Kim Jong-Un ordered further nuclear warhead and missile tests, AFP reports. The report was based on South Korea’s defense ministry, whose spokesman said the missile was launched from Sukchon in the country’s southwest and flew 800 kilometers (500 miles) into the East Sea, also called the Sea of Japan. The spokesman did not confirm the type of missile, but South Korea’s Yonhap news agency cited military sources as saying it was a Rodong missile, a scaled up Scud variant with a maximum range of around 1,300 kilometers. Kim has upped his rhetoric in recent days, saying last week his country now possesses nuclear warheads small enough to fit on ballistic missiles. The previous week, Kim ordered his country to be prepared to use nuclear weapons “at any time”. Government debt in 20 industrialized countries stands at $44 trillion. But it’s actually a lot more than that, according to a new report. After factoring in public pension and other retirement liabilities, the debt levels nearly triple to a staggering $122 trillion. That’s the math according to a new report from Citigroup Inc report called, “The Coming Pensions Crisis,” which analyzed government pension liabilities from 20 countries that are members of the Organisation for Economic Co-operation and Development . “It is really a ticking time bomb,” said Charles Millard, Citi’s head of pension relations and former head of the Pension Benefit Guaranty Corporation, the U.S. safety net for private-sector pensions. To put the unstated debt levels in perspective: The additional unstated $78 trillion in retirement-related debt is equivalent to a single year of global economic output. Citi researchers measured government pension liabilities, a combination of Social Security and public-sector pension obligations, finding the average country was carrying retirement debt of 190% versus gross domestic product—well above a 100% threshold that many experts consider concerning. Headline: What Is Causing Deadly Bacterial Infections In Wisconsin? There’s a deadly bacterial infection going around in 12 Wisconsin counties. The bacteria, called Elizabethkingia anophelis, has sickened 54 people, killing 17 of them, since November 1 of last year. And no one knows why it’s happening. The symptoms of Elizabethkingia infection, like those of many other bacterial infections, can include fever, shortness of breath, chills or an infection of the skin tissues called cellulitis, according to the Wisconsin Department of Health Services. To be sure it’s Elizabethkingia and not other bacteria causing the infection, patients need their blood tested by a healthcare professional. Officials have some clues as to why Elizabethkingia is affecting people. Most of the infected patients are over 65 and have another major health issue, indicating that the bacteria could infect them because their immune systems are compromised—scientists know that Elizabethkingia is opportunistic, based on previous outbreaks. But the bacteria are fairly common in the environment—it’s the predominant bacterial species in thegut of some kinds of mosquito, and it’s often found in soil. That makes researchers question just what’s going on here that makes it so deadly. And officials haven’t found any similarities—some were in nursing homes and some were not, some were infected while in the hospital and others weren’t, according to the Washington Post. The cases are geographically spread out. Tests of water—the source of some outbreaks in hospitals in the past—came back negative. And yet, almost all the bacteria have the same genetic code, indicating that they very likely came from the same source, Stat News reports. That means that officials are going to have to investigate a huge number of other factors, including medications and food, in order to find a pattern. This Elizabethkingia outbreak, the largest and most deadly to date, is particularly disturbing because the bacteria are resistant to most antibiotics, making it difficult to treat even if it’s caught early. Two new Ebola cases have been confirmed in Guinea, almost three months after it celebrated the end of the outbreak. Three other members of the family are suspected to have recently died from the virus. The cases were reported in the southern region of Nzerekore, where the outbreak began in December 2013. The new cases were reported by the World Health Organization (WHO) hours after it declared the latest Ebola flare-up to be over in Sierra Leone. A risk of new flare-ups remains because Ebola can persist in body fluids of some survivors for months after they recover. A very small number of new cases have been linked to sexual transmission. The world is in new territory here – scientists are still learning as the worst Ebola outbreak in history continues to unfold. The number of confirmed and suspected cases of microcephaly in Brazil associated with the Zika virus has risen to 5,131 from 4,976 a week earlier, the Ministry of Health said on Friday. Of these, the number of confirmed cases climbed to 863 from 745 a week earlier, while suspected ones increased to 4,268 from 4,231 in the same period. People killed in crossfire, burned alive in basements. Tanks in the streets and indefinite curfews – Kurds in Turkey’s southeast have been living a nightmare ever since Ankara started a crackdown on Kurdistan Workers Party (PKK) militants in August 2015. The map is based on a report by the Human Rights Foundation of Turkey from January 2016. It recorded curfews in Turkey’s south-east between August 16, 2015 and January 21,2016. The second-largest city in southeastern Turkey with highly-developed infrastructure, Diyarbakir is gradually becoming a city of the dead and missing. The unofficial capital of the Kurdish area of Turkey, the city has seen repeated shelling since July 2015. It was placed under two curfews in December. On March 16, following clashes between Kurdish militants and Turkish forces, Ankara once again imposed an indefinite curfew in some parts of the city. Ever since the military operations were launched in the city, “tens of thousands” of people have been forced to flee their homes, according to reports from Republican Peoples Party (CHP) said. Government debt in 20 industrialized countries stands at $44 trillion. But it’s actually a lot more than that, according to a new report. After factoring in public pension and other retirement liabilities, the debt levels nearly triple to a staggering $122 trillion. That’s the math according to a new report from Citigroup Inc report called, “The Coming Pensions Crisis,” which analyzed government pension liabilities from 20 countries that are members of the Organisation for Economic Co-operation and Development . “It is really a ticking time bomb,” said Charles Millard, Citi’s head of pension relations and former head of the Pension Benefit Guaranty Corporation, the U.S. safety net for private-sector pensions. To put the unstated debt levels in perspective: The additional unstated $78 trillion in retirement-related debt is equivalent to asingle year of global economic output. Citi researchers measured government pension liabilities, a combination of Social Security and public-sector pension obligations, finding the average country was carrying retirement debt of 190% versus gross domestic product—well above a 100% threshold that many experts consider concerning. There’s a deadly bacterial infection going around in 12 Wisconsin counties. The bacteria, called Elizabethkingia anophelis, has sickened 54 people, killing 17 of them, since November 1 of last year. And no one knows why it’s happening. The symptoms of Elizabethkingia infection, like those of many other bacterial infections, can include fever, shortness of breath, chills or an infection of the skin tissues called cellulitis, according to the Wisconsin Department of Health Services. To be sure it’s Elizabethkingia and not other bacteria causing the infection, patients need their blood tested by a healthcare professional. Officials have some clues as to why Elizabethkingia is affecting people. Most of the infected patients are over 65 and have another major health issue, indicating that the bacteria could infect them because their immune systems are compromised—scientists know that Elizabethkingia is opportunistic, based on previous outbreaks. But the bacteria are fairly common in the environment—it’s the predominant bacterial species in the gut of some kinds of mosquito, and it’s often found in soil. That makes researchers question just what’s going on here that makes it so deadly. And officials haven’t found any similarities—some were in nursing homes and some were not, some were infected while in the hospital and others weren’t, according to the Washington Post. The cases are geographically spread out. Tests of water—the source of some outbreaks in hospitals in the past—came back negative. And yet, almost all the bacteria have the same genetic code, indicating that they very likely came from the same source, Stat News reports. That means that officials are going to have to investigate a huge number of other factors, including medications and food, in order to find a pattern. ThisElizabethkingia outbreak, the largest and most deadly to date, is particularly disturbing because the bacteria are resistant to most antibiotics, making it difficult to treat even if it’s caught early. Yesterday I reported on what was going on between Turkey and the European Union. I didn’t have time to tell you why this report was so important so I wanted to tell you why I am taking the time to make sure you know the connection between these current events and Bible prophecy. Every time I see Turkey in the news concerning the EU I pay real close attention. Why? Because in Daniel chapter 2 and chapter 7 we see Daniel talking about the old Roman Empire coming back in the last days and, this revived Roman Empire would be installed just before the return of Christ. Anyone who knows history knows that the first Roman Empire was made up of two legs. The Western leg and the Eastern leg. The Eastern leg were the Islamic nations and the Western leg was the European nations you see today. Many who know history know that when the Western leg died out the Eastern leg remained and was known as the Ottoman Empire. In our generation we have already seen the rebirth of the Western leg via the EU or European Union and, they are the same nations that were in the first Roman Empire. I have been telling you to watch the EU talks between the EU and Turkey. I haven’t heard anyone else say what I have been saying which is, the EU has been working on bringing Turkey in the EU as a full member. If that happens it will be the first time since the first Roman Empire that both the Western leg and the Eastern leg of the Old Roman Empire will joined together again. One of the issues that has slowed down Turkey’s entrance into the EU as that full member has been the issue of Cyprus which is already a EU member nation. Turkey and Cyprus have been in negotiations on the divided Mediterranean island so if the EU can resolve this issue it would be a giant step toward bringing in Turkey as a full member. As for me the most important part of the report below is as follows: ”Under a tentative agreement reached last week, Ankara would take back all migrants and refugees who enter the EU from its shores or are detained in its territorial waters, in return for more money, faster visa-free travel for Turks and a speeding up of its slow-moving EU membership”. At this time it appears that the migrant issue just may be the issue that will clear the way for Turkey to finally become a full member of the EU. As far as prophecy is concerned Turkey’s entrance into the EU would be huge! Keep in mind, the bible does show us that the Antichrist more than likely will be coming from the Eastern leg of the old Roman Empire which is Islamic. The Antichrist could be coming out of the Ottoman Empire! Now you know why I believe it is important to be watching what happens between the EU and Turkey. Now you know why I have posted this news again!!! The European Union warned on Wednesday that a deal with Turkey to curb mass migration to Europe hinges on Ankara acting to support peace talks in EU member Cyprus. European Council President Donald Tusk, who will chair an EU summit on Thursday and Friday, said much remained to be done to reach a deal with Turkey. “Work is progressing but there is still a lot to do,” he said in a letter to EU leaders. The migration deal needed to be “an opportunity (for Turkey) to support the settlement talks in Cyprus. Only if this is possible can we move forward here.” EU officials offered last-minute tweaks to the draft pact with Turkey in an effort to make it legally watertight, but a standoff with Cyprus could yet scupper any deal this week. Under a tentative agreement reached last week, Ankara would take back all migrants and refugees who enter the EU from its shores or are detained in its territorial waters, in return for more money, faster visa-free travel for Turks and a speeding up of its slow-moving EU membership negotiations. For its part, the EU would admit one legal Syrian refugee directly from Turkey for each one trying to reach Europe by boat and taken back by Turkey from the Greek islands in a step meant to wreck the business model of people smugglers. But Cypriot President Nicos Anastasiades has threatened to veto any progress in Turkey’s accession talks unless Ankara meets its obligation to open Turkish ports and airports to Cypriot traffic, effectively recognizing his state. A few days ago I posted a Youtube video showing you that Pastor Titus who I am supporting was attacked and just about everything I gave to him for ministry work was taken when he was attacked. I made a plea to everyone to please help with funds to be able to give back what Pastor Titus needs to do the ministry work. I am not asking anyone to send Frank DiMora funds but if you are touched by our Lord and you want to help me help Pastor Titus please contact Ascent Ministries at ascentministries.org and give there as he will make sure all the blessing sent for Titus will go to Titus. I get nothing from Ascent expect the blessing to see how Jesus will work in my prayer requests. I am doing what I can for Titus but one man alone can not do what we need to be done. Today I was sent this email from Pastor Titus. It appears someone wrote to him and in turn Titus sent me what he wrote. This is the latest picture of the building we are building for the kids under Titus’s care. When I say we, I am including anyone who has been touched by the Holy Spirit to help us help Titus. I thank my God through Jesus Christ for my salvation during my calamity and trouble , Frank Dimora who has been tirelessly day and night since 2007 till now praying ,supporting me and asking friends to stand with me in our ministry. In recent support was the laptop, generator and funds to finish the orphans rooms and pay part of the balance of big building.having said that am very sorry and feel embarrassed for losing my Frank disk hard driver for his teaching ,I was going to teach being stolen without even worn the souls together with the laptop and other things. currently without knowing if our speaker and generator are still safe inside the bus we left in the bush while rescued. You do know Jesus works in ways we don’t understand. Yes Titus lost my new prophecy seminar I sent to him via that external hard drive when he was attacked along with the lap top I sent him. However, when the people who robbed Titus open up that external hard drive they are going to see my prophecy seminar. Do you suppose Jesus will use my work to lead these people to Christ? I think that it is very possible. In any case what I know and what I am holding on to is Jesus promised us the following: “And we know that in all things God works for the good of those who love him, who have been called according to his purpose” (Romans 8:28). I am praying and asking you to join with me in asking Jesus to touch the people who attacked Pastor Titus. We do thank Jesus that Pastor Titus was not harmed and we ask Jesus to please keep the things still in the van safe so Titus and use what remains until our prayers are answered to replace the things that were taken.